In the road accident, the bus conductor got stuck between the vehicles and died on the spot. The bus started from Vijayawada at 11 am. An APSRTC bus hit a lorry from backside on National Highway 65 near Muthyalammagudem stage in Kattangur mandal of Nalgonda district. Nalgonda: A woman passenger and the conductor of a bus died, while 15 passengers were injured after an APSRTC bus rammed a miller truck from behind on National Highway-65 in Kattangur mandal of Nalgonda district in the early hours of Monday. The conductor, who died on the spot, was identified as L Rama Krishna (37) and the passenger, Appayamma (47), who died while undergoing treatment in hospital. 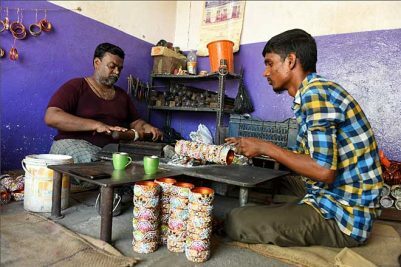 The two belonged to Krishna district of Andhra Pradesh. The injured were shifted to Kamineni Institute of Medical Sciences at Narketpally. The driver of the APSRTC express bus fled the spot after the incident which occurred at about 2 am at Muthyalammagudem stage. 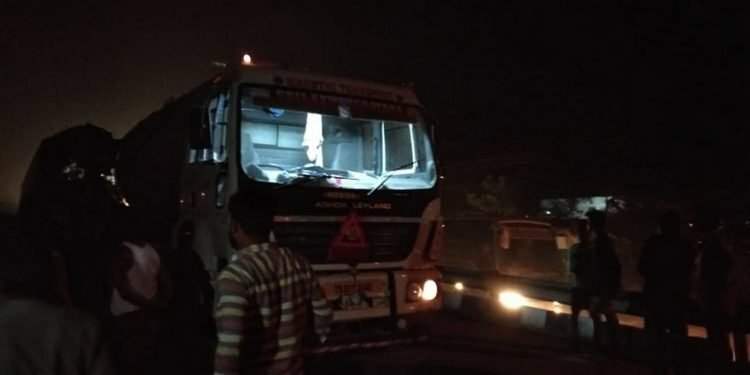 The bus, belonging to Governorpet depot, started at 11 pm from Vijayawada and was on its way to Hyderabad with 40 passengers on board, said Anthi Reddy, SI of Kattangur. 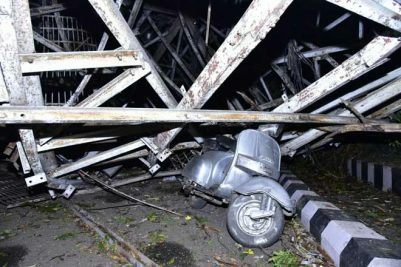 “On being informed about the incident, we rushed to the spot and shifted the injured to the hospital and cleared the traffic after extricating the body of the conductor, who stuck between the two vehicles, said the investigating officer, who registered a case. The express service between Vijayawada and Hyderabad is being run by the APSRTC to ease the rush of the passengers in the night.